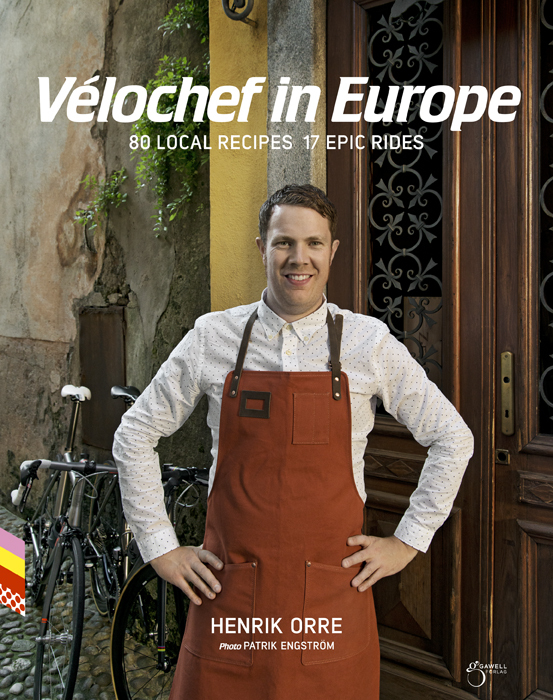 Vélochef in Europe, 80 local recipes 17 epic rides. By Henrik Orre. Vélochef in Europe, 80 local recipes 17 epic rides. By Henrik Orre. Vélochef is on the road again, this time visiting four destinations equally famous for their cuisine as for their cycling culture; Mallorca, Girona, Nice and Lombardy. Travelling with photographer Patrik Engström and journalist Henrik Alpers he discovers the roads, the residents, the scenery and of course the food. Professional cyclists and cycling fans join them along the way making this book equally as inspiring for riding as for cooking. This is a book with epic travel stories, route descriptions, maps and and portraits of some of the biggest profiles in cycling; Geraint Thomas, Elena Cecchini and Christian Meier. And of course, lots of great food, with recipes built around local seasonal ingredients andwith a principle of simplicity and with the classic Vélochef twist. Vélochef in Europe is more than a cookbook, it’s a must have for everyone who loves food, cycling and the life that comes with it. Safe travels and happy cooking!